I made this recipe as a side dish for a birthday lunch for my Dad. Growing up, my family ate a lot of squash. However, my older sister was a picky eater as a kid and she had never tried squash until I made this. She loved it and wanted the recipe so she could make it for her family. I bought another squash the next day to make it again, that’s how good it is. 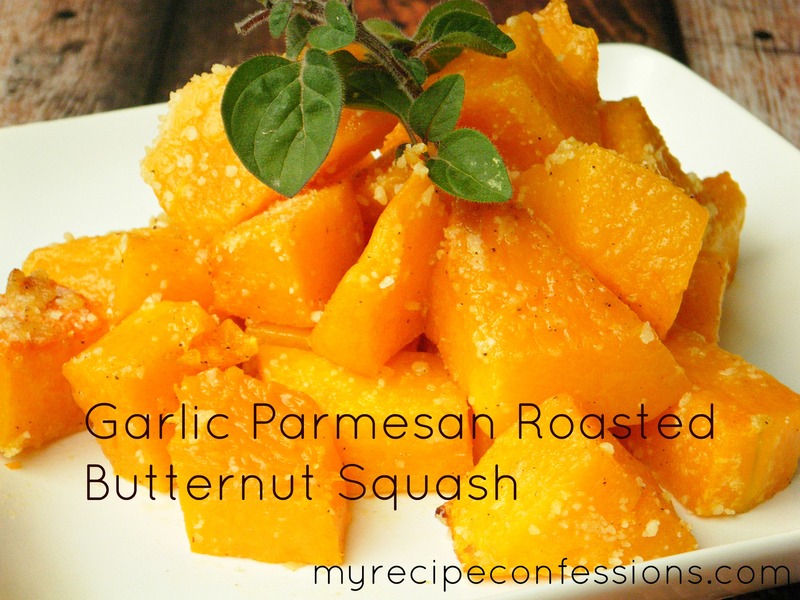 After I roasted the squash, I tossed it in some parmesan cheese. This helped kicked the flavor up another notch. This recipe was so simple and quick to throw together. I love that on top of being delicious, it is also healthy. It would make a great addition to any meal. 2. Toss butternut squash in olive oil and minced garlic. Arrange coated squash on baking sheet. Sprinkle the salt and pepper evenly over the squash. 3. Roast in preheated oven until the squash is tender and lightly golden for 25 to 30 minutes. 4. Toss the roasted squash in parmesan cheese. Serve immediately. Visiting from 6 sisters. This looks fabulous! I have all the ingredients and can’t WAIT to try it. thanks. I am excited for you to try this recipe. Let me know what you think.